Ghost Hunting Theories: Is "Predator" Possible? How about the exoskeleton with its neat gadgets and protection? Yup, we can do it! From tacticalwarfightergear “The history of exploration and development of bionic external skeletal structures goes back nearly fifty years. New emerging designs for warfighters are patterned after these early Hardiman models. Overview objectives for this project boil down to several main points with several critical sub-functions attached. • Feature: Bulletproof Ballistic Protection. • Function: Hydraulic Assisted Bionic Enhance • Nanotechnology enhanced Bio-Med Sensors. • Compact Silent Renewable Powered Energy. • Internal Personal Portable Cooling system.” (Photo above) (Tell me if this ad for it doesn't sound like something from "Terminator"): What the exoskeleton program at DARPA plans to do is turn ordinary soldiers into super-troops who can leap tall objects and run at high speeds. This program is progressing through beta testing with promising results. DARPA has set specifications for exoskeletory machines. One company, Ekso Bionics, is so cool, I'm actually invested in them. 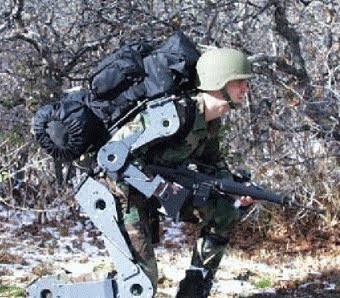 The exoskeleton technology they are working on will aid not just people who can't walk to be able to walk and move their muscles with weightbearing, but also to protect soldiers, as well as help them carry huge loads with little effort. • Increased strength - Soldiers must be able to carry more weapons and supplies, so they need greater assistance with strength. At the same time, they have to maneuver paths that might be tricky. • Increased speed - Average humans walk 4 to 6 mph, but with the amount of weight many soldiers must carry, that slows them down. They need speeds of 15-20 mph. 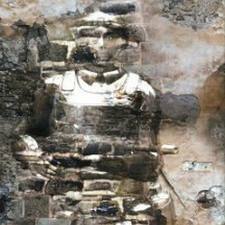 • Jumping and Leaping Capabilities – Mechanical suited exoskeleton soldiers must be able to leap over obstacles such as vehicles and small buildings obstructing their mission. If an exoskeleton can help a soldier leap out of a situation to safety, then it's done its job. Now, if you recall the Predator had the ability to fix himself up—he was biological beneath the suit of armor. He carried his own cautery kit which would be feasible to seal an injury closed. This is much like those old-fashioned techniques of heating up a knife blade and applying it to seal a cut closed. 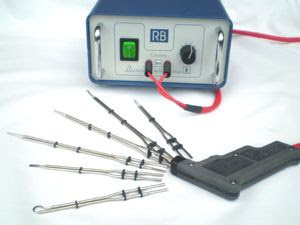 Portable cautery kits are available. 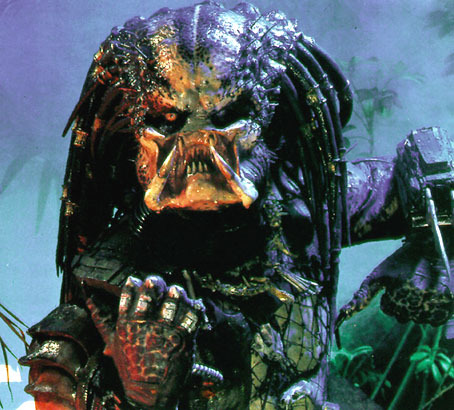 In the future might man go to other planets geared out like the Predator? Oh yeah, certainly could. Would we, however attach mini rocket launchers to our suits and collect skulls? I hope not, but you never know what space might do to men in a dream hunting suit.